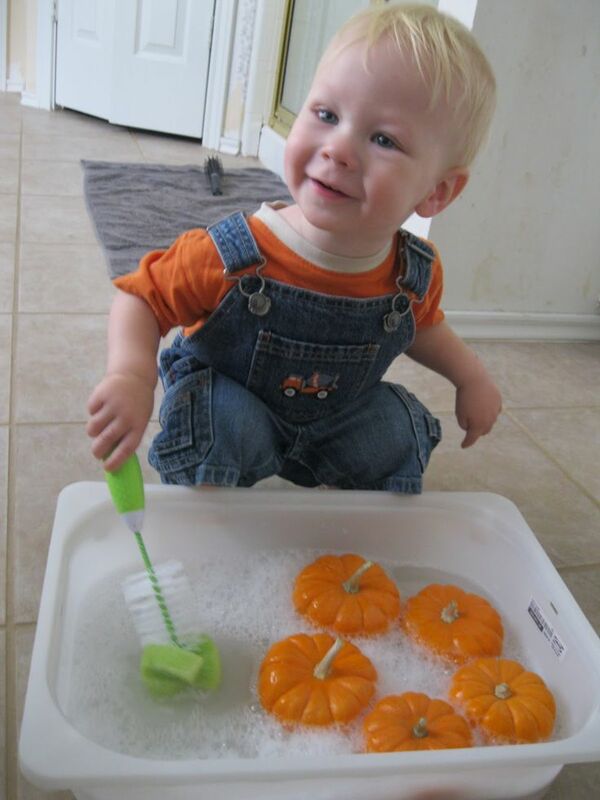 Have a look at these 5 amazingly easy and inviting kids fall activities involving pumpkins. 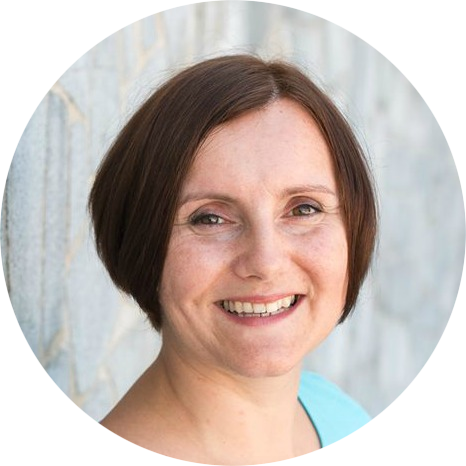 Your kids (and you) will love them! I got my hands on several beautiful orange pumpkins. And within minutes, off I went straight to Pinterest to check for some ideas on what to do with them. And you know what? 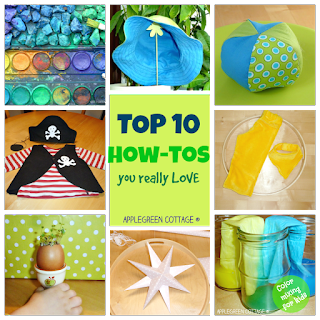 There's tons of amazing ideas for toddler activities. Off course. I figured these ideas I borrowed from the web might come in handy to somebody else who doesn't have too much time on their hands.... So here they are, just a few of my favorite ones. 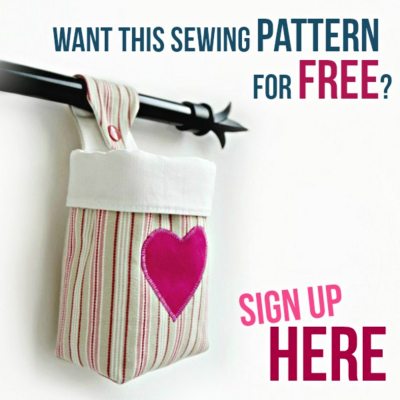 And admittedly, I would probably not have thought of any of these 5 - wait, 6!, was it not for Pinterest. 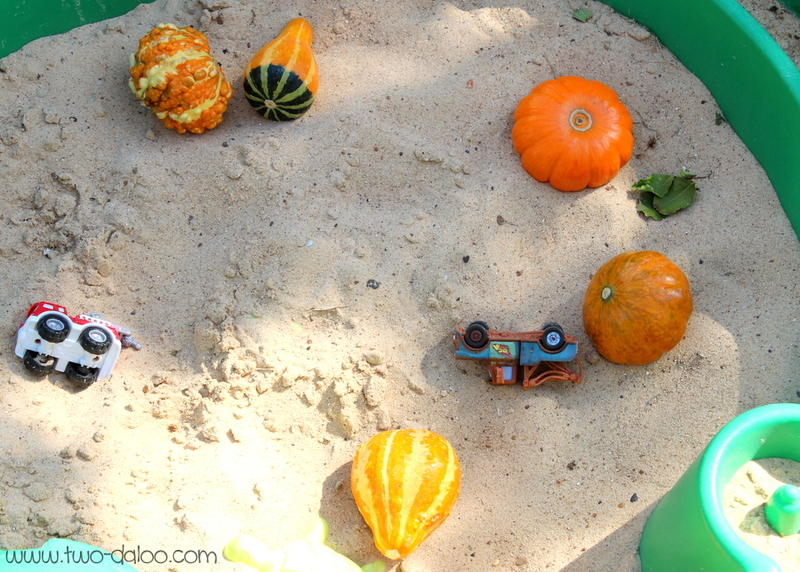 And what about simply throwing a few pumpkins into the sandbox in a back yard for a lively hide-and-seek play, just like these kids did at Two-daloo ? 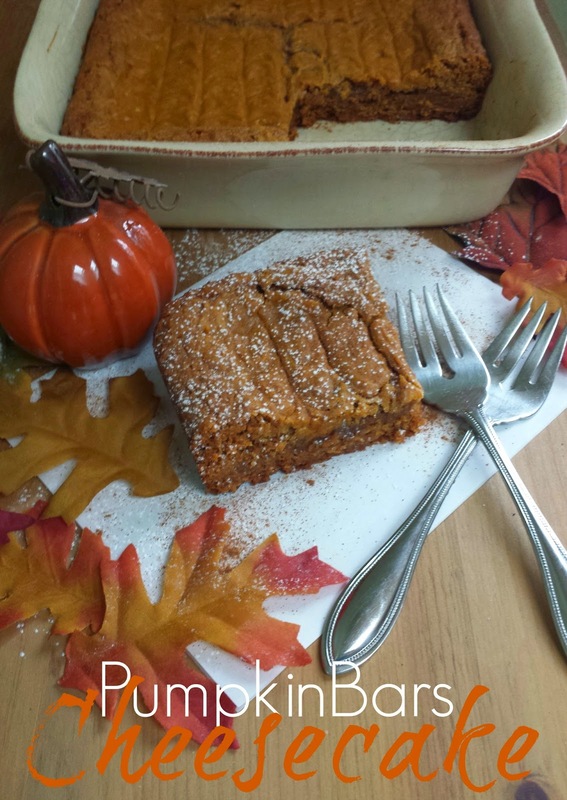 And let's not forget, kids get hungry while playing and you might just want to check this delicious autumn pumpkin treat that Cathy has made at Three kids and a fish. And she's good at it! And what would YOU choose to do with a bunch of fall pumpkins? 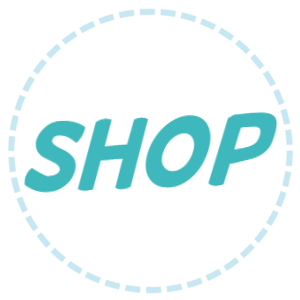 Let me know, I'm eager to test more ideas!!! 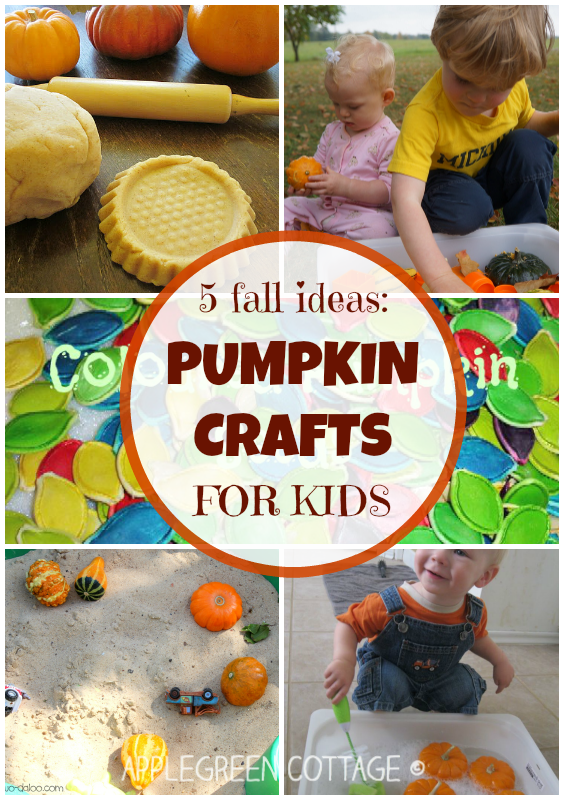 Thank you kindly for featuring our Pumpkin Playdough! I plan on making pumpkin soup for the children's lunches. I will colour the seeds rather than throwing them away after seeing this post. 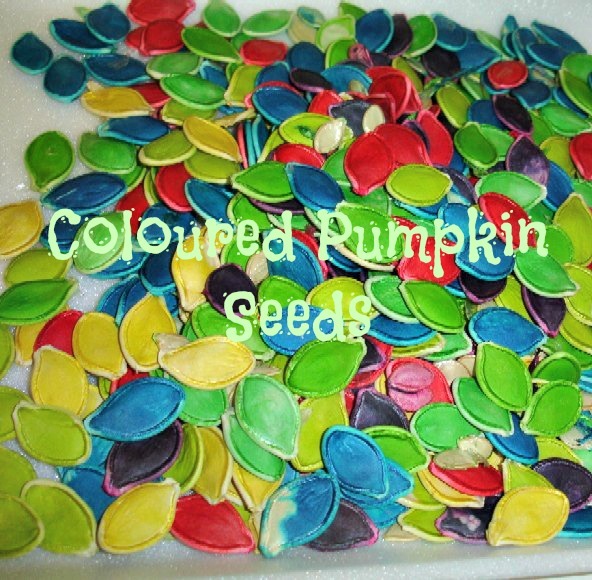 Great idea - I have never thought to colour pumpkin seeds before it's a fantastic idea.